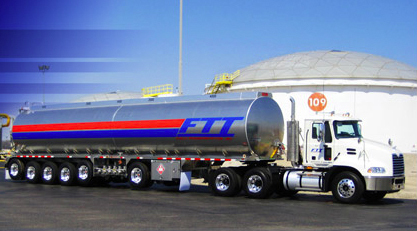 Learn more about Fuels Transportation, INC. Fuels Transportation, Inc. has assembled a "Best In Class" organization where employees are committed to leadership values that result in an unparalleled drive and commitment to our customers and the environment. Headed by partner and President Brian Mifsud, is a fleet and delivery company that provides all of the transportation and fleet needs for several branded marketers and many other distribution companies in Michigan, Ohio, Illinois, Wisconsin, and Indiana. They haul from ethanol plants to terminals, and a good portion of their business is hauling jet fuel for several airports in the 5 state region. 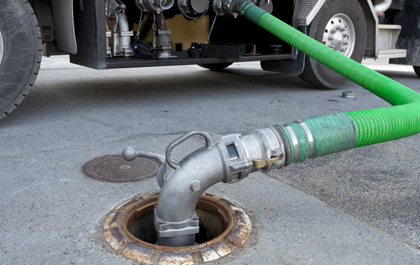 We do more than deliver fuel - we help your business grow. Fuels Transportation, Inc., is a preferred fuel carrier hauling for several branded Gasoline Distributors with brands that include Mobil, Exxon, Marathon, BP, Citgo and Shell. As part of our distribution operations, we carefully and accurately monitor your fuel levels and assist you with maintaining a manageable inventory via our state-of-the-art remote inventory management program. We currently maintain a fleet of vehicles that can respond to your changing needs and employ top personnel to help grow your business. All of our drivers are exceptional employees with many years experience in the industry. Each driver has an average of 20 years experience. Their extensive training and courteous and professional behavior makes them our greatest asset. "Since 2010, Fuels Transportation Inc. has been a tremendous partner with the University of Michigan C.S. Mott Children’s Hospital. Along with supporting fundraising events (CHAMPS for Mott and The Event on Main), Fuels Transportation, Inc. has been extremely dedicated to the Family Hope Fund within Mott. Through the Family Hope Fund, families in great anxiety receive support to pay for food, uncovered medical expenses or a utility bill. We at Mott are grateful for the continued support shown by Fuels Transportation, Inc and the Mifsud Family." Isn't it time your carrier delivered more than just fuel? The contents of this webpage are Copyright © 2019 Fuels Transportation, Inc.. All Rights Reserved.